In the United States, roughly one in three children is either overweight or obese. These statistics lead pediatricians in general, and Holly Hubbard, MD in specific to emphasize childhood nutrition. 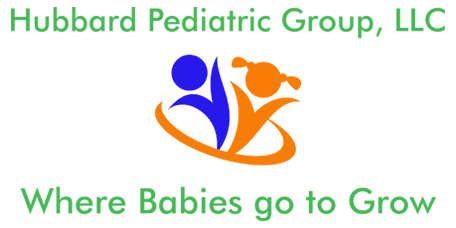 At Hubbard Pediatric Group, LLC in Loganville, Georgia, Dr. Hubbard helps you identify what foods your child should eat for optimal health. To learn more about childhood nutrition or to schedule an initial consultation, call the office or book an appointment online. How can a doctor help parents encourage positive nutritional habits? Some parents struggle with determining how and what to feed their children. However, Dr. Hubbard can work with you to develop the right type of diet for your child. 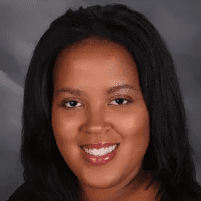 She discusses the types of food that nourish your child and the processed foods you should avoid. Dr. Hubbard discusses the importance of establishing good, healthy habits with your children when they’re young. When a child develops good eating practices, these can last a lifetime, reducing your child’s risks of obesity and the complications it can bring, including heart disease, cancer, and diabetes. Regardless of what they like to eat, try to limit your child’s intake of sugars, fats, and sodium. The age of your child determines the ideal things they should eat. During infancy, breastmilk is best for babies, but formula keeps them healthy and safe, providing the nutrients they need. At six months old, you can start introducing solid foods, including cereal and strained fruits and veggies. By the time your child becomes a toddler, you may notice some fluctuation in appetite. It’s essential to provide whole foods, such as lean meats, fresh fruits, veggies, and whole grains. As your child grows through the preschool and grade school years, the types of foods your child prefers may change and you have a vegetarian child one day, and a meat and potatoes craver the next. Keeping your children hydrated is vital to their health and wellness. But with sugary, sweet drinks filling the shelves of your local supermarket, it becomes difficult to know what you should give your children to drink. While juice offers some benefits, it’s filled with carbohydrates and often has added sugars, so fresh fruits are often the best possible choice. Furthermore, Dr. Hubbard recommends that children drink between 12-16 ounces of milk a day, depending on their age and health. In most cases, Dr. Hubbard suggests if your child is over the age of one, water should be the preferred drink. Water makes up over half of each person’s body weight and developing a water-drinking habit reduces future health risks. If water doesn’t suit your child’s palate, add lemon or berries for flavor. Learn more by scheduling your initial consultation with Dr. Hubbard. Go online or call the office today.